After losing the final of the Independence Day tournament to local outfit Chenga Veng FC, Aizawl FC in their bid to strengthen defence signed experienced defender Moirangthem Govin Singh from their northeastern counterpart NEROCA FC. Earlier the only I-League side from Mizoram has signed a veteran goalkeeper Gurpreet Singh Chabbal who is currently a free-man after completing a season with ISL side NE United. Moirangthem Govin Singh started his professional career in 2008 with Churchill Brothers and won the coveted I-League title in his first season with the club. He was an integral part of the team as he played 16 matches out of the possible 22 in his first season. He has recently played for United Sikkim, Shillong Lajong, Delhi Dynamos, Royal Wahingdoh and ISL side FC Pune City. The 30-year-old defender played for NEROCA in the last edition of the I-League where he formed a solid defensive partnership with Gouramangi Singh. Govin Singh had two international caps starting his first match for India against Chinese Taipei on March 21, 2011 and was also included in the playing eleven against Bayern Munich in Baichung Bhutia’s farewell match in New Delhi held in January 2012. 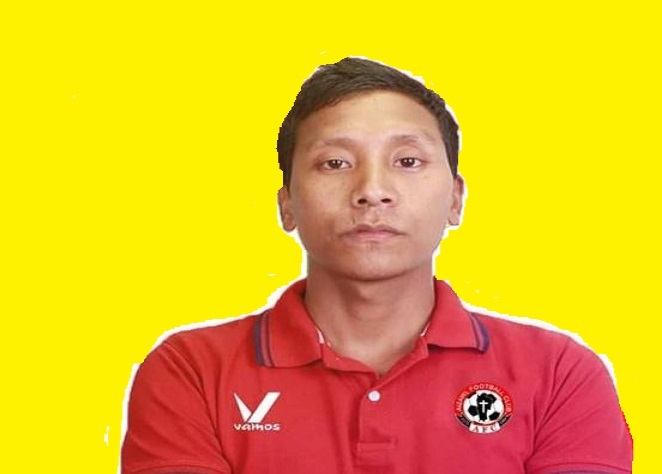 To kick off their I-League campaign the Aizawl outfit has already signed former DSK and NEROCA winger David Lalbiakzara, ex-Mumbai City midfielder Lalrinfela, Shillong Lajong academy graduate Joe Zoherliana among others.